Last month we were sent a lovely box of goodies from The Christmas Boutique. When I opened the box it felt like Christmas was ages away and now all of a sudden we are hurtling towards December! I LOVE Christmas and can't wait for the 1st of December when I can go mad with putting up decorations! 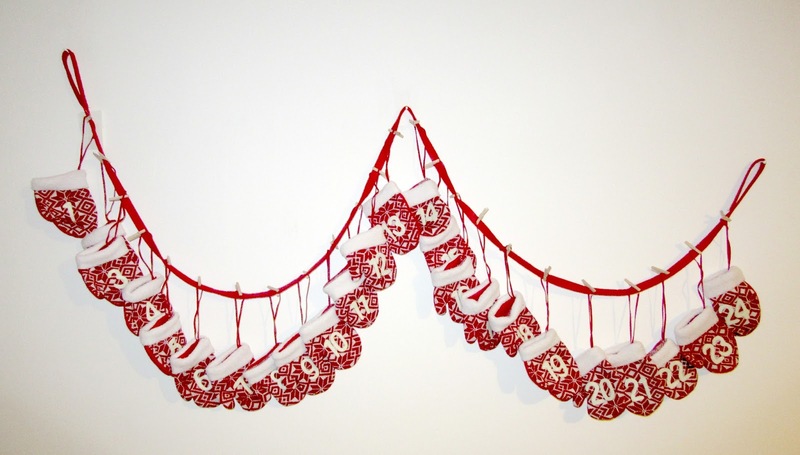 This hanging knitted mitten decoration was my favourite of them all. 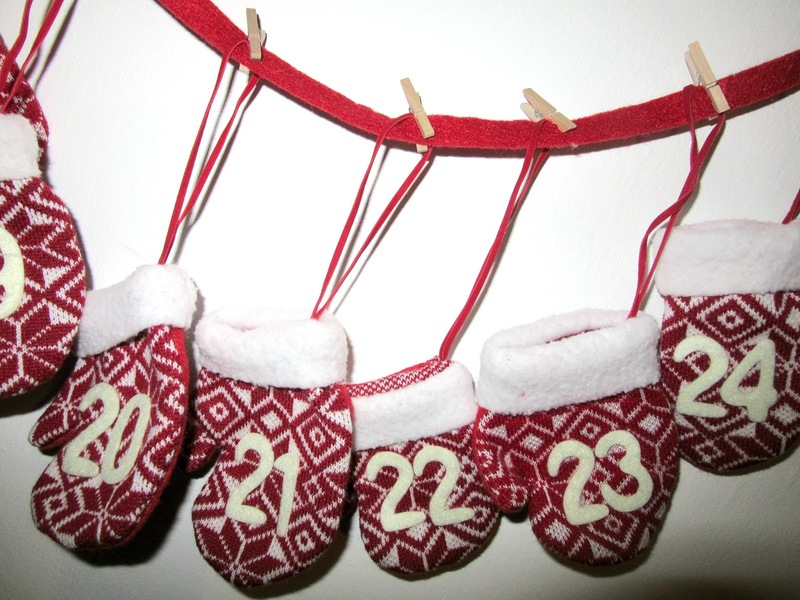 It is an advent decoration in which you can put little sweeties or other goodies for the run up to Christmas. I love the little pegs, they are too cute. They usually cost £26.99 but are half price at the moment - what a bargain! 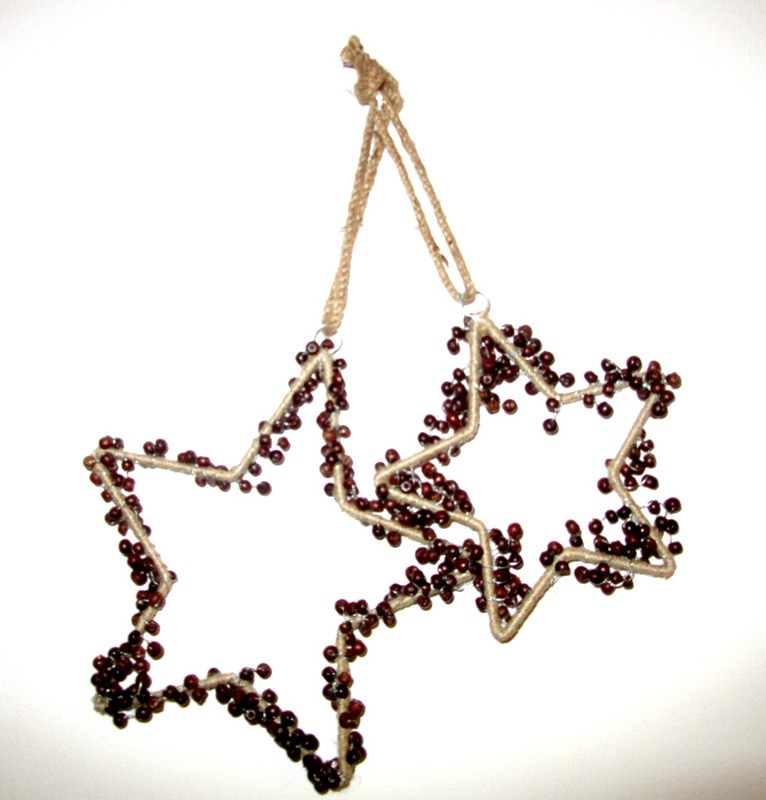 These stars have a lovely rustic feel to them with the twine and wooden bead detailing. They would suit a home looking for a warm, cosy atmosphere for this Christmas! They retail at £9.99 for the pair which is good value for money. 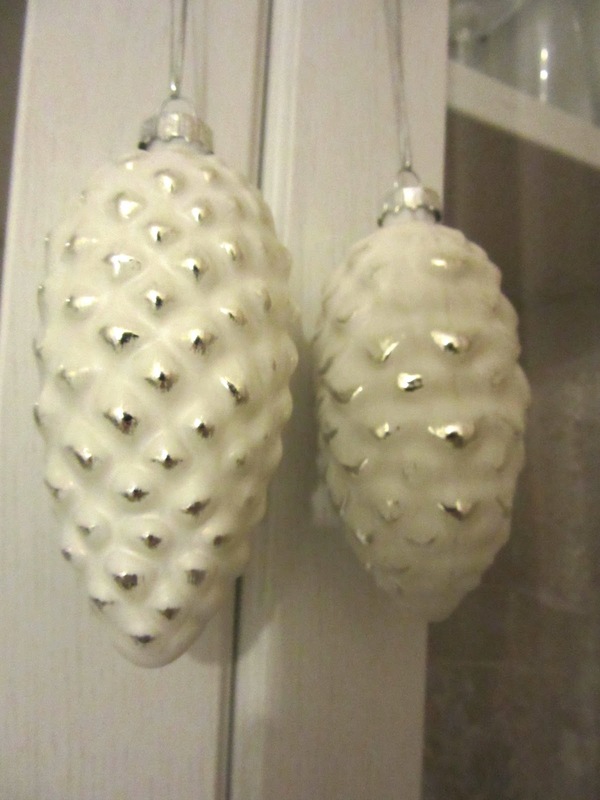 These White and Silver pine cone glass baubles are lovely and would compliment any colour scheme of decorations you choose. They would look good against the green of a Christmas tree or just hanging around the house. The baubles are quite light but seem pretty durable. They cost £6.99 for the pair. 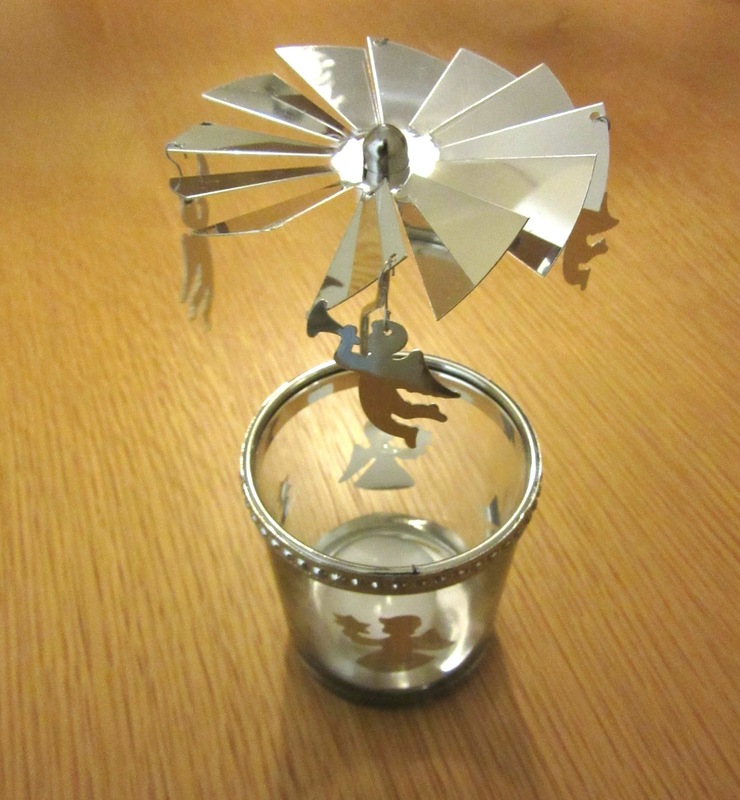 This tea light holder spins around when a lit candle is placed in it. It is made from glass and metal and adds light and movement to your home. It retails at £7.99 which is a good price for a taillight holder. 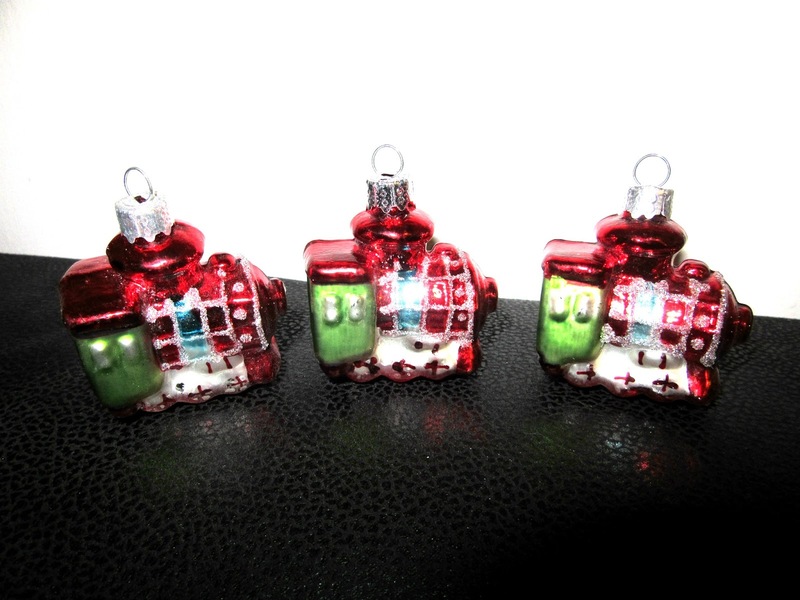 These novelty little train glass baubles are great if you fancy something different on your tree this year. They are sure to be a hit with the little ones! The glitter decoration on the baubles make them sparkle. They are priced at £11.99 for the 3. 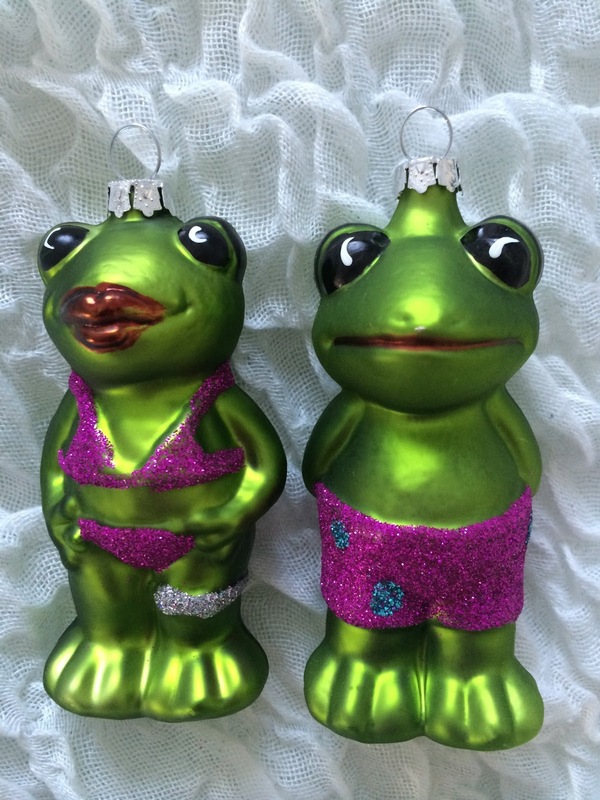 And lastly, check out these cheeky little Mr and Mrs novelty frog glass baubles! Unfortunately, they aren't really to my taste but they are fun and I can see why they would appeal. They are funny little things full of character. They frogs are £6.99 for the pair. Isla seemed quite taken by them! How excited are you about Christmas? When do you plan to get your decorations up? Oh my goodness!! I love everything!! Christmas is my favourite time of year and I am always looking for new things to add to my collection! I always put everything up Dec 1st although this year is going to be the first delayed start as Baby L has her 1st birthday on the 15th and I don't want it overshadowed by the tree etc!! 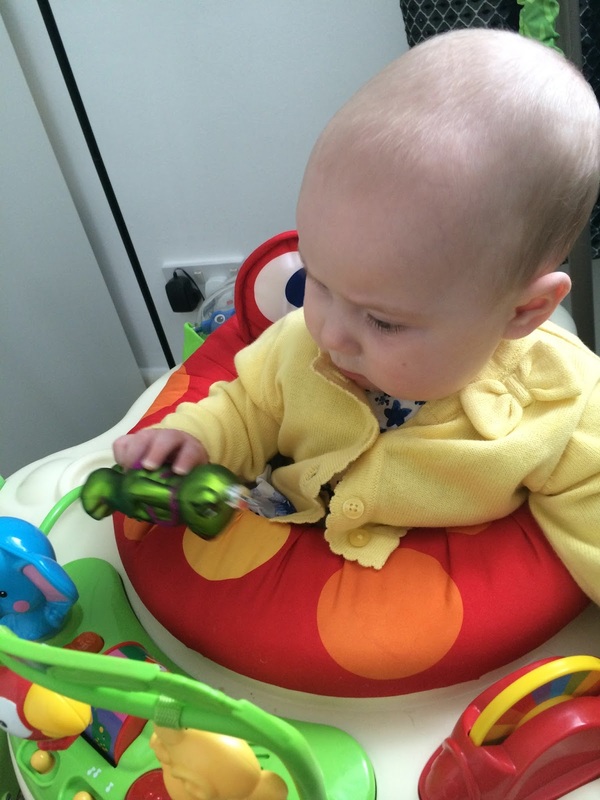 Terrible timing for a baby lol! Last Week's Vlog - featuring a dancing daddy!